Roots vacuum pumps, also called Roots Blowers or Booster Pumps, are suited for compressing high volume flows with low power requirements. 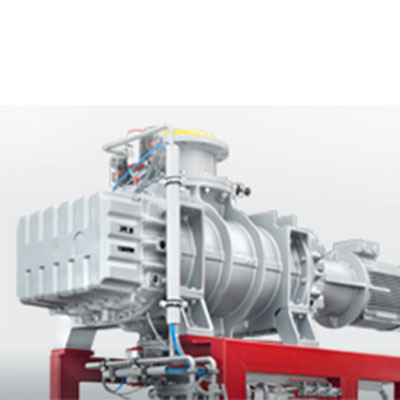 In this way they extend the pressure range of other vacuum pump types or replace mass flow compressors like steam jet vacuum pumps, for example. Roots pumps are available with pumping speeds of up to 15.000 m³/h. Since Roots vacuum pumps are capable of producing only relatively small pressure differences in the medium and rough vacuum range, they are operated together with so-called backing or forevacuum pumps. Depending on the operating point, Roots vacuum pumps are combined, in consideration of the stages, in multi-stage units. 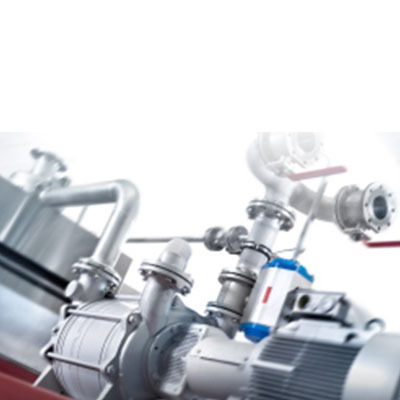 Designing and properly rating multi-stage Roots vacuum pump stations in consideration of the ideal backing pump belongs to the main field of activity of the company Arpuma GmbH.